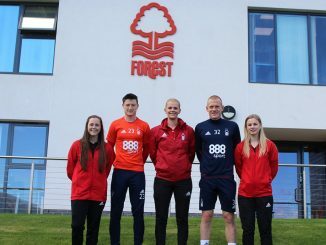 Over 1,200 were at the local clash between Nottingham Forest and Derby County, while Blackburn Rovers and Coventry United moved a step nearer their respective titles. 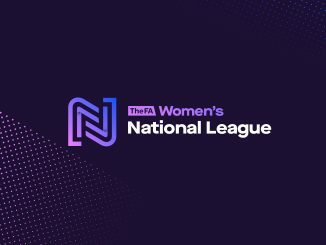 Nottingham Forest were denied all three points by Derby County in front of a bumper crowd of 1,252 as Stephanie Smith levelled in added time, a Helena Constantinou corner having led to the opening goal. Runaway leaders Blackburn Rovers didn’t have it all their own way in a narrow 2-1 result at Hull City, where Sophie Charlton netted twice on her full debut. 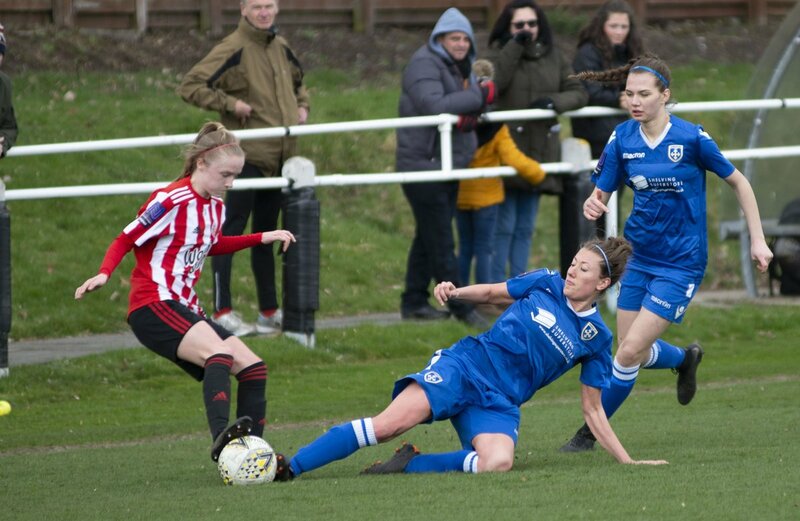 Sunderland sent Guiseley Vixens to a 4-1 defeat, Grace McCatty’s strike late in the second half adding to first half goals from Bridget Galloway, Niamh McLaughlin and Keira Ramshaw. 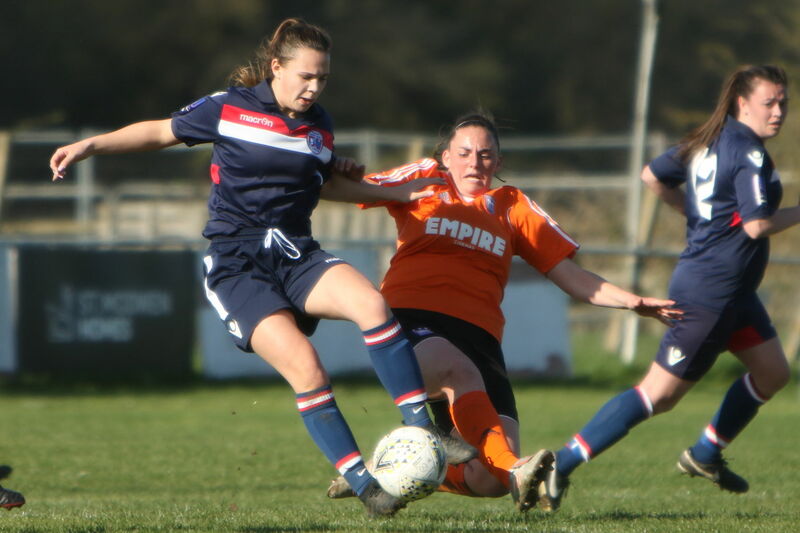 Middlesbrough went third following a 3-0 win at Fylde, while Huddersfield Town were held 1-1 by Stoke City as Kate Mallin’s 83rd-minute goal for the Terriers cancelled out by Roisin Kivel. Cardiff City Ladies went second with a good 3-0 result at Portsmouth, where the job was done by half time. 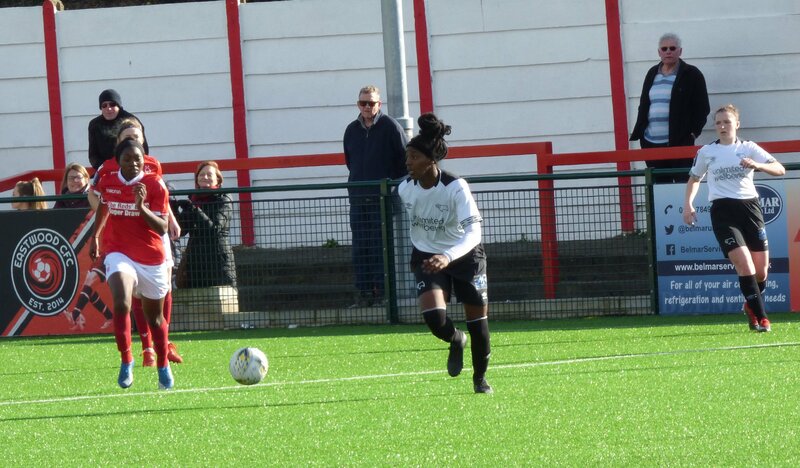 Coventry United kept on course for the title with all three goals at Watford, Maz Gauntlett with two of them. Oxford United closed in on third-placed Chichester City when thrashing C & K Basildon 12-0, Emily Allen with na five-goal haul. MK Dons saw QPR suffer another narrow reverse by the odd goal in five, Kerry Newman and Kim Farrow scoring in quick succession to turn the game round. Plymouth Argyle had to settle for a 1-1 draw at home to Gillingham. 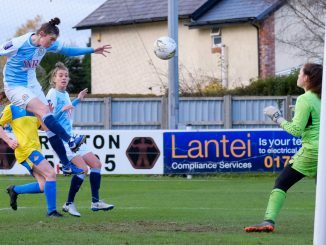 In the Midlands, Long Eaton United won a seven-goal thriller at Bedworth United after letting slip a 3-0 lead, Jade Arber then deciding it when completing her hat-trick. Brighouse Town had a second goalless draw in four days but this time with North leaders Burnley. 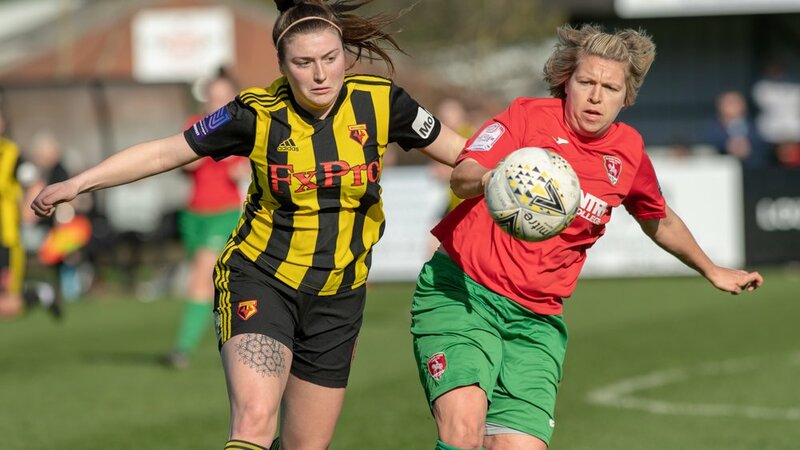 Crawley Wasps won 3-0 at Luton Town to stay ten points clear of Billericay Town in the South East, Leyton Orient had a 4-1 success at Brisbane Road against Norwich City with Hayley Barton bagging a brace. Keynsham Town are close to the South West title having put fourteen goals past Poole, Kelly Aldridge, Laura Wiliams and Ellison Roberts with three each. Second-placed Southampton Women went down to an unfortunate own-goal at home to Cheltenham Town.